Buddleia is a beautiful flowering shrub that features large clusters of dazzling flowers in spring and summer. It is an easy to grow deciduous shrub that demands little care but returns a large number of blooms that attract bees and butterflies. It will bloom beautiful flowers of pink, purple and white colours, creating a wonderful display that is unique and attractive at the same time. Buddleia will bloom numerous flowers in cone-shaped clusters, with narrow green leaves adding a beautiful contrast. The shrub grows in a compact, mounding shape with arching branches that give a fountain-like appearance. Buddleia plants thrive well in well-drained soil that is moist. They will do well in partial shade but their blooming performance is most distinct in full sunlight. Their roots are to be kept cool, add a layer of organic mulch for the same. Once these bushes establish, they will turn tough and drought tolerant. These are hardy shrubs that can withstand winter temperatures, but make sure to protect them from cold winds. The honey scent of Buddleia flowers will attract bees and butterflies! 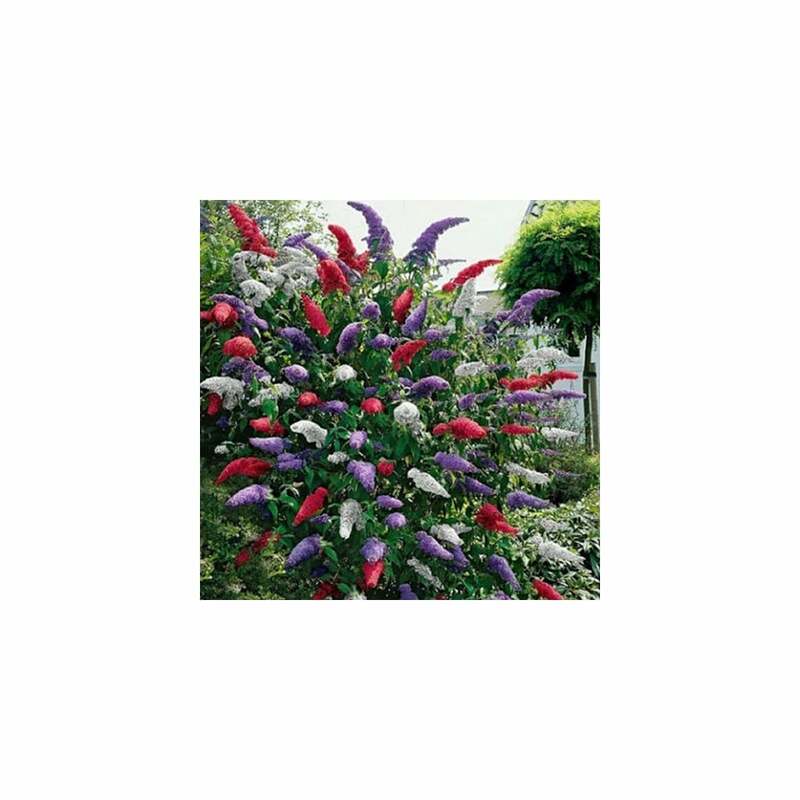 They are most suitable for decorating pool areas, patio or as flower borders. They bloom abundantly in the flowering season. Prune lightly to maintain their shape and remove faded flowers right away to support additional blooms.